In August 2015, MicroPort Orthopedics, Inc. recalled a component used with its Profemur Modular-Neck Hip Implant System, after the device had been associated with an unexpectedly high rate of fractures. Hip replacement patients who experienced the premature failure of this component may be entitled to compensation for their medical bills, lost wages, and other injury-related damages. The nationwide law firm of Bernstein Liebhard LLP has successfully represented hundreds of patients who were harmed by defective hip replacement products. If you experienced a fracture of the modular-neck device named in this recall, please contact our Firm to learn more about filing a MicroPort Profemur lawsuit. Free, no-obligation case reviews can be obtained by calling (888) 994-5118. The MicroPort Profemur Modular-Neck Hip Implant System is a modular hip replacement designed to be used in minimally-invasive hip surgery. 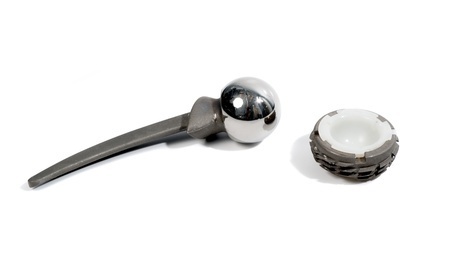 It consists of interchangeable parts that allow a surgeon to fit the hip implant to each patient’s unique anatomy. In August 2015, the U.S. Food & Drug Administration (FDA) announced a Class I medical device recall for nearly 11,000 Profemur Long Cobalt Chrome 8 Degree Varus/Valgus Modular Neck components, which are used to connect the hip’s femoral stem to its femoral head. According to the FDA, there have been at least 28 reports of fractures associated with this recalled implant. Patients forced to undergo revision surgery due to the fracture of a MicroPort Profemur modular neck face a long road to recovery. Hip revision procedures take longer and are often riskier than initial implant surgery, and sometimes patients never regain full use of their hip. Filing a MicroPort Profemur hip lawsuit could make it possible for the alleged victims of this recalled modular-neck to obtain compensation for the physical, financial, and emotional damages incurred as a result of their injuries. If you or a loved one suffered a fracture of the modular-neck involved in the MicroPort Profemur recall, the attorneys at Bernstein Liebhard LLP would like to hear from you. To learn more about your legal rights, please call (888) 994-5118 for a free, no-obligation review of your case.